Cameron and Hollande – Ready to fight against Syria “To the last American”? On June 10th Roland Dumas, former French Foreign Affairs Minister, made some rather shocking revelations on Britain’s role in the war against Syria, on a program called “This Concerns You” aired on the Parliamentary TV network, LCP. 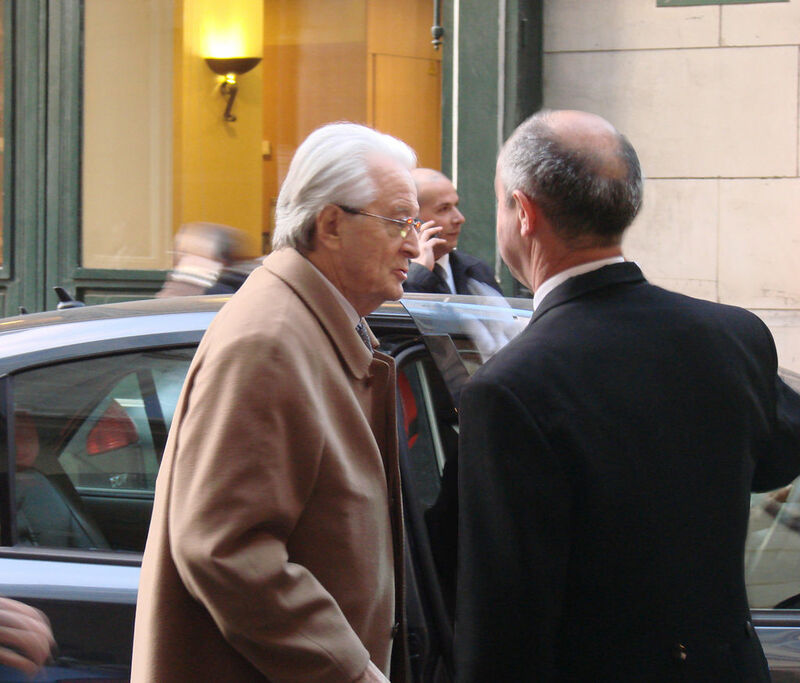 As president of the French Constitutional Court, Dumas was not exactly a friend of former French presidential candidate and Lyndon LaRouche ally Jacques Cheminade, and played a central role in targeting him. But despite his many shortcomings, Dumas always took the side of Arab countries, enjoying historically close relationships with the Syrian and the Libyan governments. LCP interviewed Dumas along with three others on the situation around Syria. Dumas replied, “Very simple! With the very simple aim! To overthrow the Syrian government, because in the region, it’s important to understand, that the Syrian regime makes anti-Israeli talk. And consequently, everything that moves throughout the region— I was told confidentially by an Israeli prime minister quite a long time ago: we will try to get along with the states throughout the area, and those who don’t get along, we’ll destroy. (a) This image file is licensed under the Creative Commons Attribution 2.0 Generic license. – The publishing of this image does not imply that the author endorse this article. This entry was posted in Education, Geopolitics, World News and tagged Cameron, fight, Hollande, revelations, Roland Dumas, Syria by cnlib. Bookmark the permalink.